It’s time to bring the curtain down on another year and to recall the memorable Canadian cheese tasted during 2018—with the help of friends in fromage. Plus an outstanding butter, one of several grass-fed butters that have appeared on the market this year. Hatley has been showing beautifully in 2018 on cheeseboards as a rich, full flavour washed-rind cheese made with organic farmstead milk. A blend of milky, fruity and nutty flavours balanced with salt. As far as award winners go, it’s not hard to see why! A natural, rustic, salt and pepper looking rind covers this elegant, tall column-shaped organic cow’s milk blue cheese. Inside hides a soft, often oozy, pale ivory paste with slate-grey veining, concentrated closer to the centre of the cheese. Earthy, woody and fungal aromas blend nicely with vegetal, creamy and slight salty flavours, making it the perfect mid-range blue for tasting pleasure. Ever since I started in the Canadian cheese industry, Figaro has made and remained on my Top 10 list. Yeasty and rich, lactic, full of creamy, tangy flavour, it’s always a crowd-pleaser, disappearing in minutes! Cranberry Chèvre is nothing short of “wow” as a perfect blend of both sweet and savoury flavours where fruity goodness meets tarty tang rounded off by the mild spicy hint of cinnamon. As a final step in making the cheese, plump cranberries are hand-rolled onto the fresh chèvre logs to ensure full coverage and less damage to the fruit—guaranteeing a gorgeous display for your holiday cheese board. This holiday treasure is only available locally, and seasonally at Christmas time—made with love by Maggie Paradis. A blend of her local cow, goat and sheep milk cheeses, it’s a savoury sensation rolled in crushed pecans, rich and velvety in texture and sharp with a mild onion flavour. At every meeting of the Awards and Cheese Festival organizing committee, I’m asked to bring a selection of Canadian cheeses for us to graze on while planning our cheese events. One cheese that stopped the discussion was Grey Owl. It was in perfect condition, with its beautiful contrast in paste and rind, and a dazzling flavour of lemon and tang in your month. It took us 20 minutes to get back to our meeting. It is cheese that always starts a conversation. Everyone needs a go-to cheese. With a texture like parmesan, the subtle crunch, quality milk and consistency, you can’t help snacking on this cheese. Well done, Mountainoak! Hands down for me this year’s Best Bite was Big Momma, from Ruth Khlasen and Monforte Dairy. It blew me away. Perhaps I had the good fortune of tasting from a sublime piece—lucky me! The combination of pillowy, creamy smooth texture and the outstanding flavour of water buffalo milk, it t was all sweetness and light. With a good measure of enduring flavour underpinning the whole experience: gently lactic and subtly earthy. Wowza! It’s been a while since I’ve been transported when cheese hits my palate. Big Momma took me there! 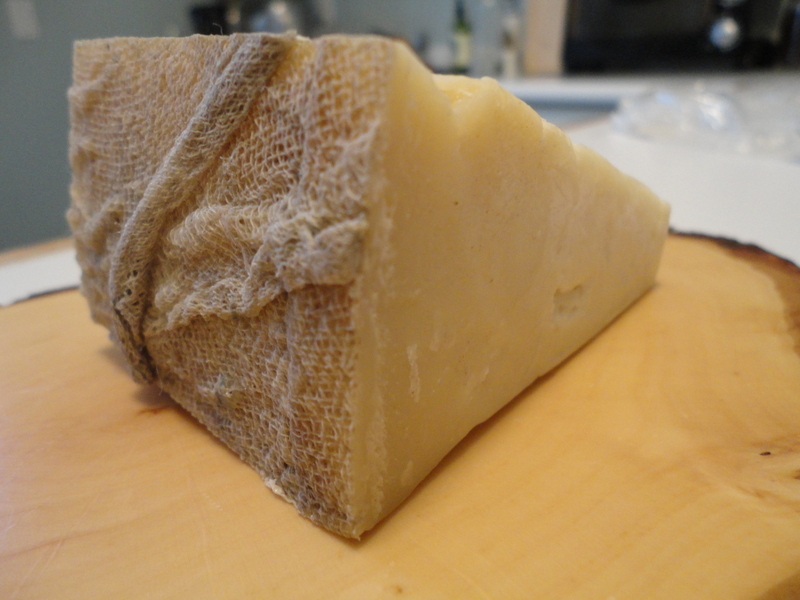 Kénogami, a soft washed-rind beauty made by Fromagerie Lehmann with thermized milk from Brown Swiss cows in the Saguenay-Lac-Saint-Jean region. It presents a wonderful soft, herbal aroma and tastes of cream, butter and nut. The Lehmann family is very conscientious about the care they provide both to their animals and to their pasture. The farm uses no GMOs, no pesticides and no chemical fertilizer. They rely on a variety of wild plants to feed the small herd in the summer and in the winter they feed them hay and grain produced on the farm. There is something special about the climate and the soil in the Saguenay-Lac-Saint-Jean region as the final outstanding cheese of the 2018 Top 10 comes from a fromagerie a few kilometres from Fromagerie Lehmann. Curé-Hébert is semi-soft, washed-rind farm cheese made with raw milk drawn from the Fromagerie l’Autre Versant’s herd of Ayrshire cows. Its orange-brown rind is partially covered by a fluffy white coat. Curé-Hébert features a mild aroma of cream, butter, mushroom and a hint of sweetness (honey or caramel). It tastes very slightly rustic and sweet. Can-Dairy founders Mitch Yurkiw and Drew McIver. Actually, mine is not cheese, but butter, and a tiny amount of cheese. Emerald Grasslands sets a new benchmark in the fast-growing Canadian butter category. Clarksburg-based Can-Dairy founders Mitch Yurkiw and Drew McIver are trying to make the world a better place, one delicious pat of butter at a time! They contract milk only with Jersey cow farmers, known for their extra thick and yellow cream. But these are not just ordinary Jersey cows, they are certified grass fed on regenerative (sustainable) organic farms. With this amazing milk, Emerald Grasslands churns, a more gentle process on the fat structure, the butter and produces 84% MF butter—perfect for baking pastries. For their salted version they sourced hand-harvested sea salt from Vancouver Island Salt Company, near Courtenay, British Columbia. The result of all this care in sourcing and production is a mind-blowing, super-creamy butter that is rich and with floral notes, a rusticity of cows and just the right hint of salt. Truly. the way to make the most of an artisan crusty bread. We rarely have a chance to taste the wonders of Echire or Isigny St. Mere, but now, maybe that is OK.
Rich and Drew are next using some of their milk for making Cheddar. I had the chance to taste an early prototype and as a guy who buys Iles aux Grues 2-year cheddar by the 40 lb block, I can tell you we should all hope to see this cheese in a store one day soon! OMG! Bibi made by Fromagerie Domaine Féodale in Berthierville, Québec. We bring the curtain down on 2016 with friends in fromage recalling the memorable cheeses that crossed their palates during the past 12 months. In alphabetical order, here is a baker’s dozen of outstanding cheeses of the year—plus a special mention for the 2016 Canadian Cheese of the Year and a word of advice for producers of non-dairy cheeses. Check out the tasting notes and make up your shopping list for the next visit to a cheese shop or, better yet, right to the cheesemaker. 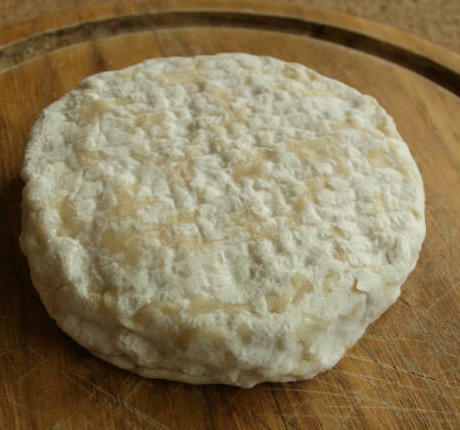 Bibi is a delicious, oozy, creamy, finger-licking good Camembert-style cheese made by Guy Dessureault and Lise Mercier at Fromagerie Domaine Féodale. This cheese ranks in my very selective OMG! category. It is best enjoyed and savoured with a very special person. Make the experience part of a road trip as you will have to drive to the fromagerie, halfway between Montréal and Trois-Rivières, to buy it. It is a regional treasure! The warm hospitality of the two cheesemakers and their staff, at their recently expanded facility north of Berthierville, will make you feel like you are part of their family. Blossom Blue made by Moonstruck Organic Cheese on Vancouver Island. Blossom’s Blue is an aged blue cheese made entirely with the unpasteurised, organic milk of Moonstruck Dairy’s own Jersey herd. Its texture is firm and dense, yet slightly crumbly. It is a touch sweet with the rich flavor of Jersey milk and a has great balance of salt and strength. Goats at Fromagerie Au Fond Des Bois near Rexton, New Brunswick. Belgium-born Didier Laurent is cheesemaker and owner at Fromagerie Au Fond Des Bois located, as its French name implies, “deep in the woods” near Rexton, New Brunswick, on 267 acres of land bordered by the St. Nicholas River. All of Didier’s cheeses are made exclusively from the milk of his own goats with no additives. The 98 dairy goats raised in his goat house include Nubians, Alpines and Saanens. This is a goat’s milk bloomy-rind cheese that could easily pass for cow’s milk cheese with a soft and flowing texture with a rich, salty, earthy flavour. I love this cheese with Pinot Noir or a bubbly. Cheesemaker Lyndell Findlay at Blue Harbour Cheese in Halifax. This cheese is a relatively new blue from urban cheesemaker Lyndell Findlay. She is one of the few sheep’s milk cheese producers in Nova Scotia. She purchases her milk from a farm in Stewiack and makes the cheese at her facility on Robie Street in Halifax’s North End—the first of its kind here in the city. The cheese reminds me of a mild Roquefort with a creamy, chalky texture, delicate bite and slightly sweet finish. Perfect for the “blue-fearful” cheeselover, it’s very accessible. It pairs really well with our local, aromatic whites like Tidal Bay, especially those with a touch of balanced sweetness. Fuoco made by Fromagerie Fuoco north of Montréal, Québec. We don’t see much water buffalo milk cheese in Nova Scotia, so this is a real treat. It’s made without rennet (perhaps coagulated with an acid instead) so it is suitable for strict vegetarians. It’s a semi-soft soft, washed rind cheese with a friendlier “fetor” than some washed-rinds! At peak ripeness it is totally decadent, rich and oozy with hazelnut and salted butter notes. Superb with a full, fruity white wine or Saison (beer). Cheesemaker Shep Ysselstein of Gunn’s Hill Artisan Cheese near Woodstock, Ontario. It’s a rarity, but there might be some of the 2016 stock left if folks move fast. Available at Gunn’s Hill, it’s a coveted 18-month batch, released only in December of every year. 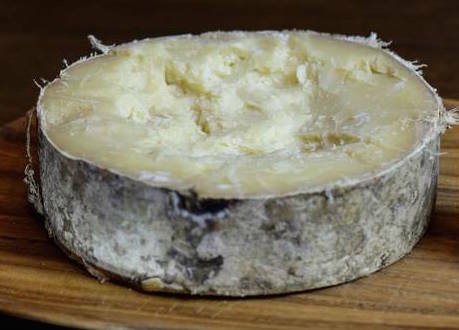 Ripened for an additional 10 months, Five Brothers Reserve becomes more rustic in appearance, almost “leathered,” with its rind developing shades of darker brown. The “eyes” in the paste are more pronounced and tiny crystals are present, a result of the aging process, a sign of a good cheese! Enjoy its fruity and malty aroma on the nose. This cheese is complex while keeping its smooth and creamy texture and finishes with a subtle bite. Waves of scotch-y, malt-y and caramel flavours ride over your palate and linger for a long time. Ile-aux-Grues, 2-year cheddar, takes its name from its island home in the St. Lawrence River near Québec City. At home, my personal favourite, everyday go-to cheese continues to be Ile-aux-Grues 2-year cheddar. I am never without at least 10 kg on hand. Enough flavor for character, not too much to overpower cooking or more sensitive palates. Perfect for grilled cheese, baguette and cheese, plowman’s lunch, omelettes, host gifts and drop-in entertaining. Maasdammer made by Triple Island Cheese in Cherryville, B.C. The Tuijtels family up in Cherryville, B.C., has been producing this and many other cheeses according to their generations-old family recipes. They prefer to focus on high quality milk, and not an overly large production. This gives the Maasdammer its deep, buttery, sweet taste. Great as a base for fondue and with a crisp dry Reisling. Margaret Peters-Morris of Glengarry Fine Cheese near Cornwall, Ontario. Another rarity to find in stores. We featured it in Savvy Cool Curds for November and it was nothing short of knock-your-socks-off yummy! 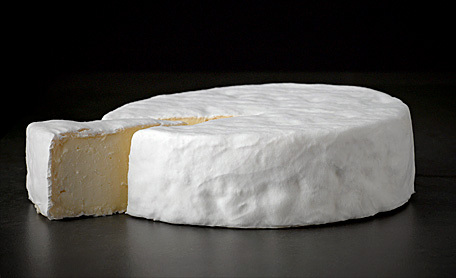 Nevis comes in a larger format wheel as a washed rind cow milk cheese. A dark gold basket weave exterior compliments a golden straw interior which is cheddar-like in texture. Nevis is all buttery goodness with a tangy finish. 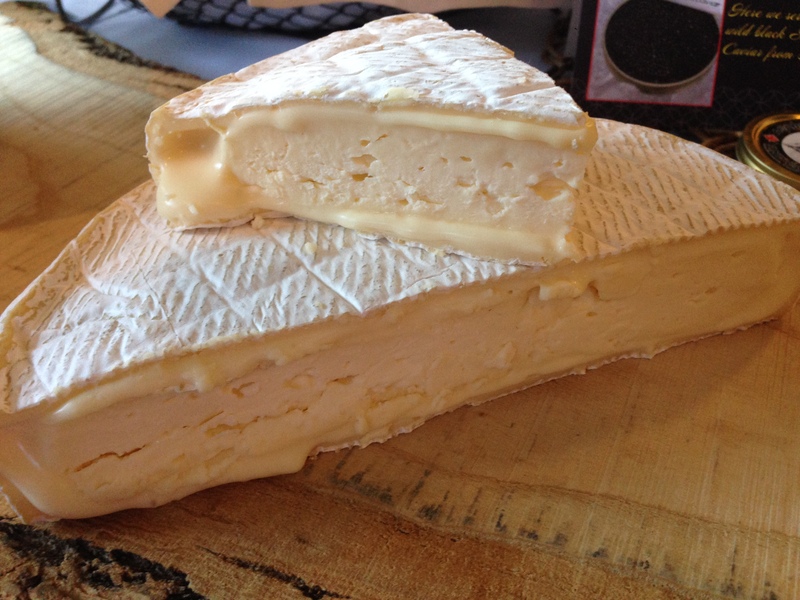 Rathtrevor made by Little Qualicum Cheeseworks in Parksville on Vancouver Island. From Little Qualicum Cheeseworks in Parksville on Vancouver Island, Rathtrevor has quickly become one of our favorite local cheeses. Made with the unpasturised milk from their own mixed herd of Ayrshire, Brown and Canadienne cows, this Alpine-style cheese is nutty, sweet and delicious. Great on its own with a glass of wine, but also a fantastic melter. Glasgow Glen Farm is a family affair for Jeff MCourt, his wife and two children. This is a hard, 18-month, sheep’s milk Gouda made by Jeff McCourt at Glasgow Glen. Jeff bought Martina TerBeek’s business “The Cheeselady” in 2012 which was one of PEI’s only artisanal cheese business operating for 25 years specializing in Gouda. The farm is a 12-acre lot, overlooking Hunter River and Rustico Bay. This cheese has a parmesan-like flavour and texture—sharp, buttery, herbaceous, nutty,and a touch crumbly. Perfect with a hearty glass of Red. As Canadians continue to re-examine their diets and understand that diet is a key measure in controlling health, there is rising interest in alternatives to traditional cheese. I tried cheeses from Fauxmagerie Zengarry (Glengarry, Ontario) and Nuts For Cheese (London, Ontario) and while several of these are very good (Zengary Gruyere with cumin and Nuts for Cheese Chipotle Cheddar and Super Blue) they are not to be compared to traditional cheeses. My advice to these cheesemakers is to learn from the traditional techniques, embrace their creations for what they are, because they are good, but avoid the copy of traditional names and the implied similarity of flavor and texture experience. I can see lots of people finding this interesting. Avonlea Clothbound Cheddar: Canadian Cheese of the Year. For most of 2016—until the last of it disappeared in a shrimp bake a few days ago, there was always a kilo or more of Avonlea Clothbound Cheddar in the cheese fridge at CheeseLover.ca. Crowned Cheese of the Year in the 2016 Canadian Cheese Awards, the old-style cheddar, made according to an Orkney island recipe, is truly a Canadian classic. Now generally available across Canada, it’s a must-try cheese, if you’ve not sampled it already. A highlight of 2016 for us was a visit to Cows Creamery in Charlottetown, P.E. I., home of Avonlea, several other outstanding cheeses, fabulous ice cream and awesome chocolates—not to mention a huge selection of T-shirts featuring cows in many different settings. The warm hospitality shown to us by Scott Linkletter, proprietor, and Armand Bernard, cheesemaker, only made the visit more memorable. —Georgs Kolesnikovs, Cheesehead-in-Chief at CheeseLover.ca and founder of The Great Canadian Cheese Festival and Canadian Cheese Awards/Le Concours des fromages fins canadiens. We lower the curtain on 2014 with Vanessa Simmons, respected cheese sommelier at Savvy Company in Ottawa, recalling the 12 Canadian cheeses that made the year memorable for her palate. Check out her tasting notes and make up your shopping list for the next visit to a cheese shop. Even more robust, buttery than the Celtic Blue we know and love from Glengarry Fine Cheese. 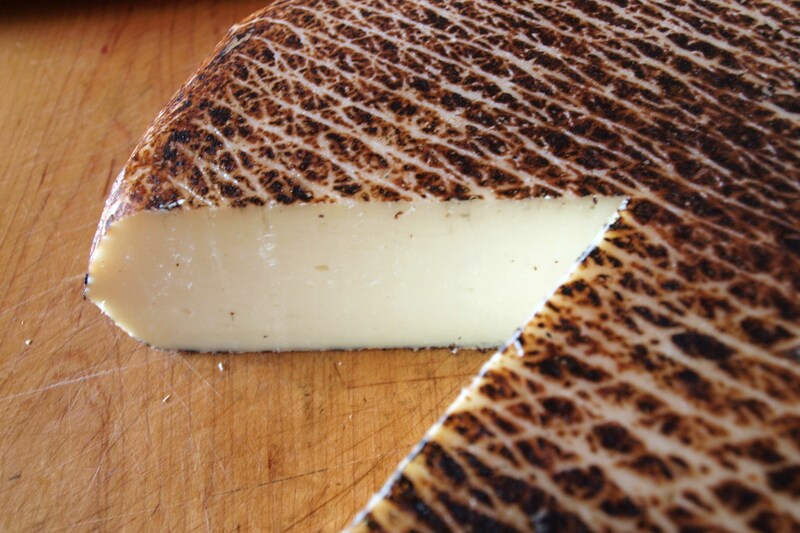 New-on-the-scene earthy ewe’s milk clothbound cheddar from Québec. Continues to wow year after year. Tangy, fruity, yet clean. One-of-a-kind and very rare to find aged. Packs a punch of flavour with awesome bite on the finish. Runny, lucious, creamy, buttery, nutty and ooey-gooey good when perfectly à point (fully ripened). Rich, and oh so sinful, with flavors of butter, cream and a hint of sweet dulce de leche (to quote myself!). Eat right from the spoon. Heaven. Pure indulgence. Need I say more? Surprising! Hints of bacon, maple and smoke, with an overlay of butter and nut rounding out its smooth and supple texture. Elegant, delicate, tender, yeasty, gorgeous! Soft and sweet, with a hint of sour finish. Texture of soft ice cream sandwich with flavours and aromas of fresh sweet milk and grass that lingers and lingers. Cheesecake-like luxury, silky, creamy, melty-in-your-mouth. Ruckles from Salt Spring Island Cheese Company. Photo: Bob Chelmick. We bring the curtain down on 2013 with friends in fromage recalling the memorable cheeses that crossed their palates this year. In alphabetical order, mainly, here are 22 outstanding cheeses of the year just ending—plus new Canadian fondues and a pilgrimage cheese lovers must make. It is surprising, even to me, that two of my three faves of 2013 are flavoured cheeses, which to me is a testimony to high-quality cheesemaking. Flavours that meld with the cheese substrate where the cheese and the flavour counterpart do a sublime dance. David Wood knocks it out of the park, again. 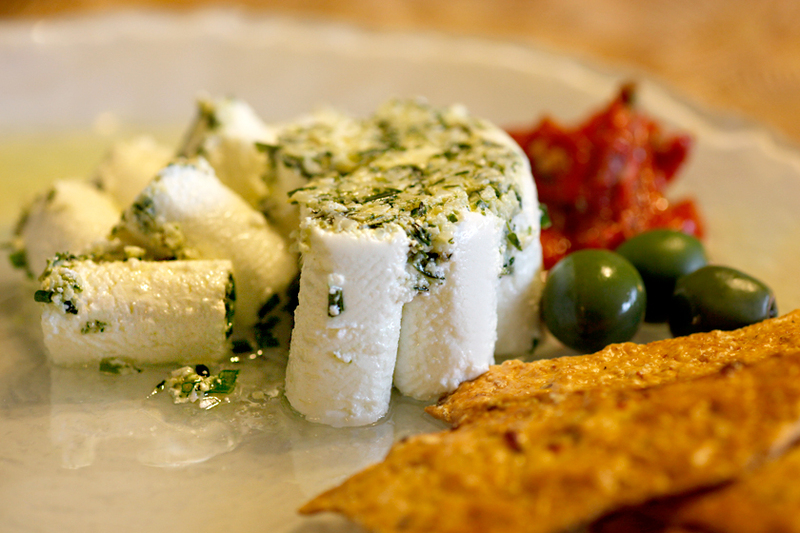 In a sea of so many pedestrian offerings of marinated goat cheese, Ruckles is in class all its own. Firm yet silkily textured cylinders of cheese are bathed in grapeseed oil which is speckled with a mix of thyme, rosemary, chives and garlic, in perfect proportion. The Chili Pecorino is one of my favourite offerings from Rhonda Zuk Headon’s repertoire. The balance of chilis embedded in this toothsome cheese provides a gentle heat that lingers on the palate while the nutty, olive flavour of this sheep milk cheese still holds its own. Not an easy accomplishment but Rhonda pulls it off! 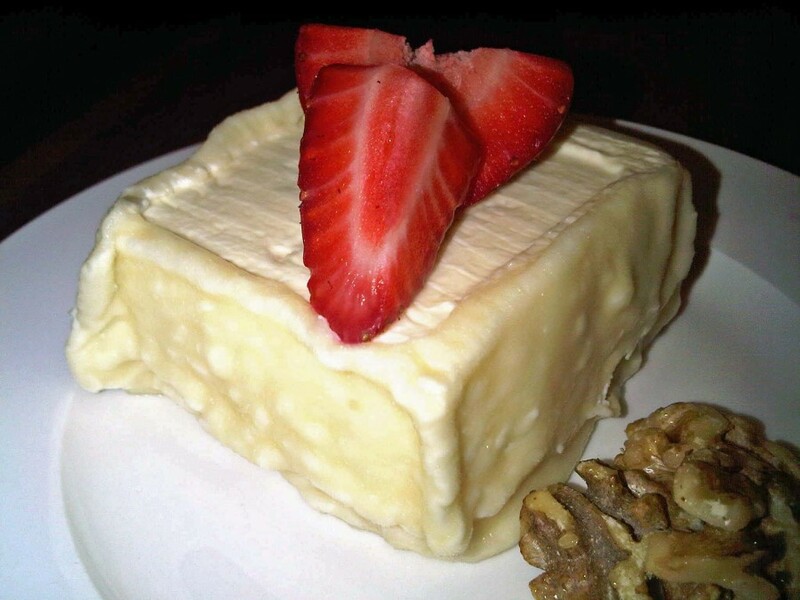 Four new ready-to-eat Cheese Fondues arrived on the market in 2013. All amazing, with either Louis d’Or, 14 Arpents or Victor et Berthold or the one from Charlevoix with both 1608 and Hercule in the box! One of my best bites was a fondue made from Victor et Berthold, a beautiful washed rind from Fromagerie Du Champ a la Meule in Québec. This cheese made one of the most delicious fondues of all time. It made me very happy. Alfred Le Fermier is a true, rustic, organic, raw cow’s milk farmstead cheese made in small batches, pressed and cooked, washed/turned by hand, as a way of life on the farm. It has a European style, but with local terroir, as a result of choosing closely the hay from their local Estrie region. Note heavy woodsy, herbal and mild floral aromas, with layers of milky, grassy and buttery complexity on the palette, more pronounced when aged for 24 months. A delicious marriage of Gunn’s Hill Artisan Cheese of Woodstock, Ontario, with Beau’s All Natural Brewing of Vankleek Hill, Ontario. This sumptuous semi-soft cheese is washed with a seasonal beer from Beau’s. Beer and cheese together, pure bliss! I simply adore Brebichon, a farmstead sheep milk cheese that is oh so creamy, delicate and lucious. This apple juice washed cheese is an absolute must buy on every stop I make at Fromagerie Atwater in Montréal. Made with organic raw milk from a closed herd of fourth-generation family-farmed cows, this cheese readily fulfills its potential. Supple and fragrant, with yeasty and savoury aromas, and a long layered finish. The goat’s milk cheese Crottin à ma Manière from Simon Hamel at Fromagerie l’Atelier in the Bois-Francs region of Québec surpasses famed Chavignol of France, is much cheaper and it’s federally licensed. A rare find and 2013 Canadian Cheese Grand Prix finalist, Dragon’s Breath Blue is a closely guarded family secret. Unique in shape and size, these small cylinders of blue cheese are aged only a few weeks then coated with wax for ripening another 2-6 months. The flavor and texture varies by season, more buttery/creamy in the summer months with higher fat content in the milk. Note sharp blue flavor, moist texture with fruity notes, and little blue veining depending on exposure to air. More than worth the shipping charges! Figaro from Glengarry Fine Cheese. Photo: Vanessa Simmons. I choose Figaro from Glengarry–not that I don’t love (and love the Global award!) for the Lankaaster Aged but I kind of forgot about the amazingly fresh and delicate qualities. And we found each other again this year–lucky for me. Not as consistent as one might want, though still an ambitious and expressive farmstead cheese modeled loosely after Manchego, but more floral, bright and pungent. 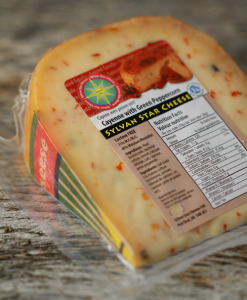 I’ve served the Grizzly Gouda from Sylvan Star many times at events or at home this year and it is outstanding in its complexity, looooong finish and “ability to wow” factor. Somehow the cheesemakers at Alexis de Portneuf improved their already mouth-watering, soft, mixed rind La Sauvagine cheese. What did they do? Add cream to it, making it a triple crème. Grab some of this cheese while you can. A limited amount of this OMG mouth experience was created. I have to start with Laliberté from Fromagerie du Presbytere–the triple cream that I could not stop eating, and made from organic milk to boot. Supreme Global Champion at the 2013 Global Cheese Awards, this firm to hard cow’s milk cheeses comes shaped in a loaf or wheel, covered in a waxy rind, and is a Gouda-style after Dutch farmstead cheeses. It’s a rich, dense, chewy cheese with intense buttery, fruity, caramelized nutty flavors that linger forever. It’s not hard to see how this multiple Caseus award-winning cheese is smokin’ hot! Vlimeux is a firm, pressed, uncooked raw sheep’s milk cheese, with a hard, waxy, glossy, caramel-hued rind. Smoke, salt and nut permeate the interior overlaying the cheese’s natural sweet milky flavors in a perfect complement. Okay, this is part of the cheese but my wife and I cannot resist adding small cubes of it into our soups, chili, tomato sauce and risotto. The dried rind softens in the broth, releasing its flavour and becomes chewable. We love it so much that we actually have to buy some from our local grocery store. 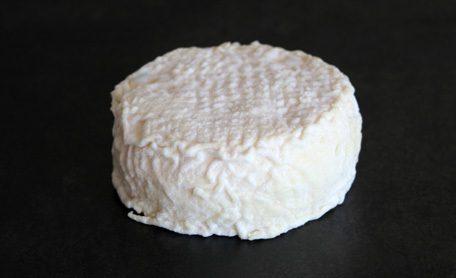 Pont Blanc is a soft, lactic, surface ripened cow milk cheese. A rare find outside the farmstead retail store, the skin-like rind on this beauty reminds of intricate ivory lace, while the dense interior has the texture of a soft cream sandwich and moist piece of cheesecake. Note pronounced flavors and aromas of fresh sweet milk, and grass that linger and linger. 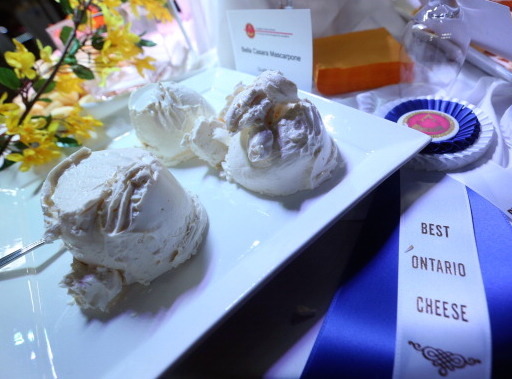 The 2013 Canadian Cheese Grand Prix Grand Champion, the humble Ricotta from Quality Cheese reigned supreme, winning against more than 225 of Canada’s best cheeses, a first ever for both an Ontario cheese and a fresh category cheese. Fresh, creamy, melt in your mouth Ricotta (which means re-cooked in Italian, as it’s made from the leftover whey after making other cheese). Very light, but rich, and very versatile as a simple cheese to eat with a variety of garnishes/condiments or used in cooking. Taleggio (1996 Italian DOP) has and will always be in my Top 10. It’s a semi-soft, washed rind, smear-ripened Italian cheese that is named after Val Taleggio where it has been made since the 10th century. 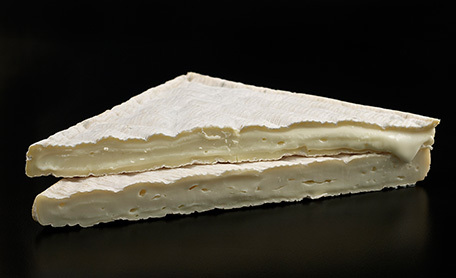 The cheese has a thin crust and a strong aroma, but its flavour is comparatively mild with an unusual fruity tang. James Meservy deserves a medal for perseverance! 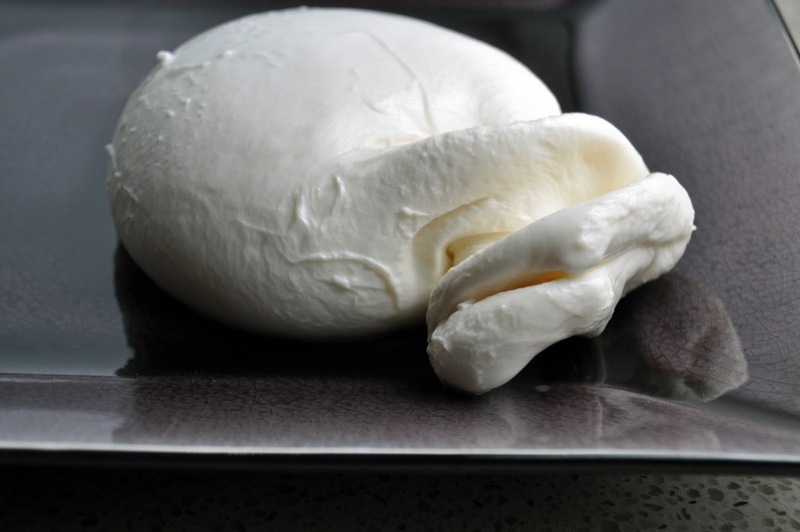 He has faced many challenges in the last two years in his attempt to bring high quality Old West Ranch Water Buffalo Mozzarella to the artisan Canadian cheese market. When it is in its finest form, it is dense and velvety without being the least bit rubbery and sweetly milky with a tangy underpinning that keeps us reaching for more. As far as international picks go, I’d suggest that any cheese lover make a pilgrimage to Neil’s Yard Dairy in London. The pleasures are too many to enumerate, but this is mecca, without a doubt. Here’s just one photo. And, yes, I tasted virtually everything in the shot. 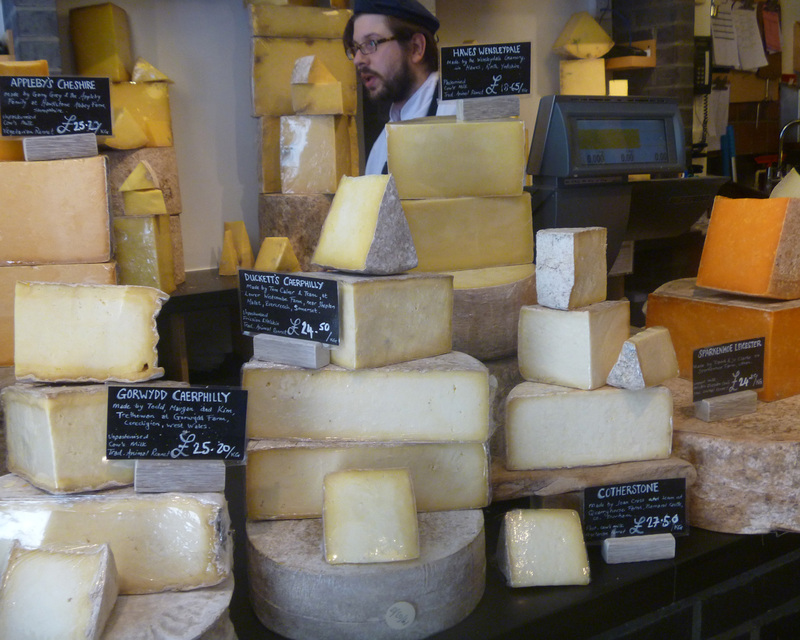 Neal’s Yard Dairy: Mecca for cheese lovers. Photo: Julia Rogers.